ScooterPower WEEKEND 2017 TEN YEARS OLD ! 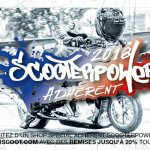 ScooterPower ⁄ Maxiscoot (EN) ⁄ ScooterPower WEEKEND 2017 TEN YEARS OLD ! 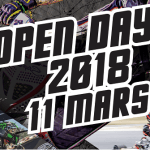 The biggest and the best… ScooterPower Weekend is the largest 50cc drag race event in Europe ! This year ScooterPower Weekend celebrates the tenth anniversary of our partnership between Maxiscoot and ScooterPower, bringing together more than 2000 fans and drivers for a fantastic program packed with brand new activities. Here is a summary with photos and rankings that marked an exceptional event that will hold a special place in our racer’s hearts for years to come ! 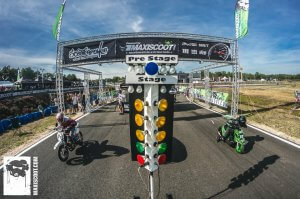 For the past 10 years, Maxiscoot and ScooterPower have made it possible for two-stroke engine lovers to compete safely on their favorite 50cc motorbike. This year, the organisation team went all out to celebrate this birthday during the ScooterPower Weekend. Featuring an exceptional program of brand new activities and beautiful weather with temperatures in the 80’s, the 2017 event brought together over 1500 spectators and 400 drivers ! Incredible ! While timed drag races from stopped position were the main attraction, with 2330 different races logged, many other activities such as a sudden death competition, batak challenge, Suds Party and a stunt show by Sarah Lezito as well as a custom show.. all added up to a hugely successful summer meet !